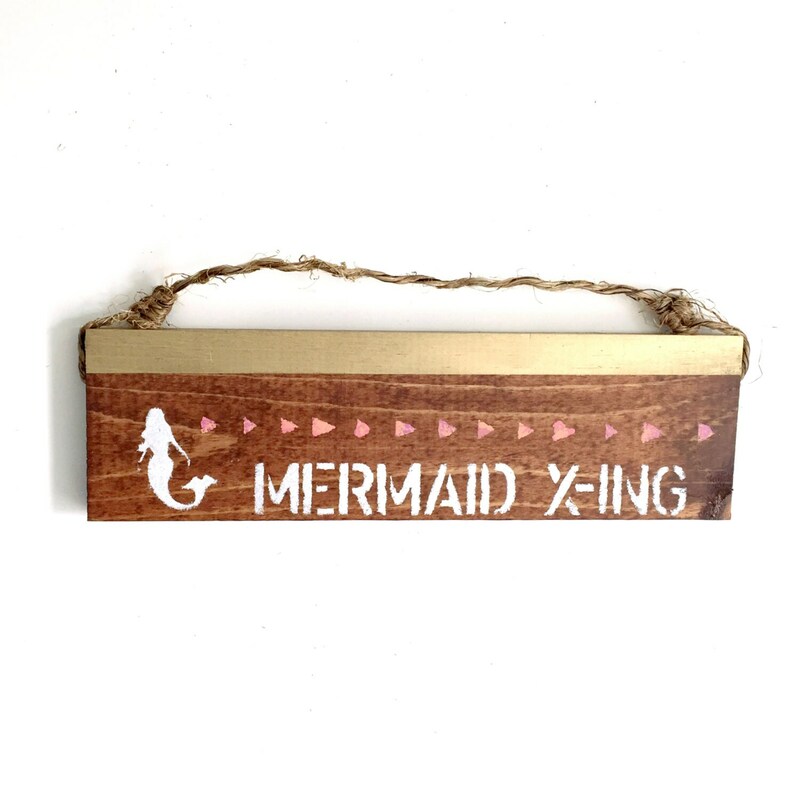 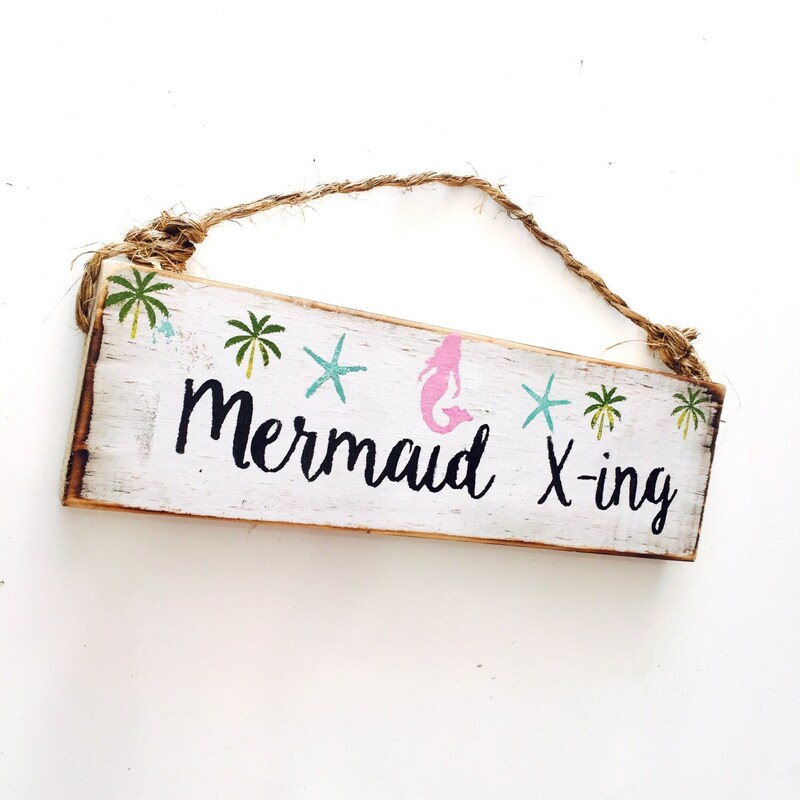 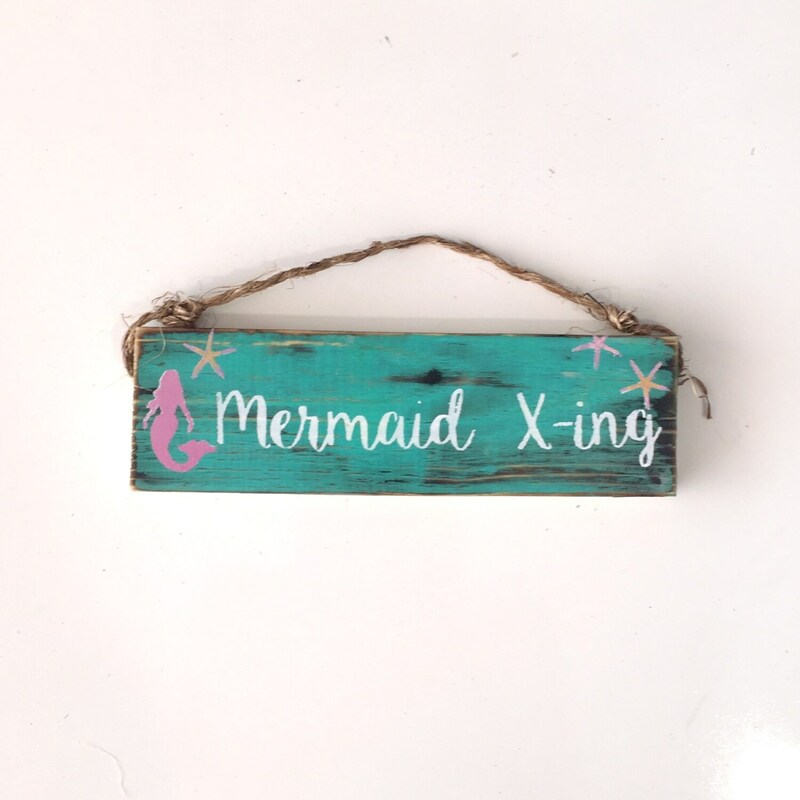 Mermaid X-ing Mermaid Crossing Sign. 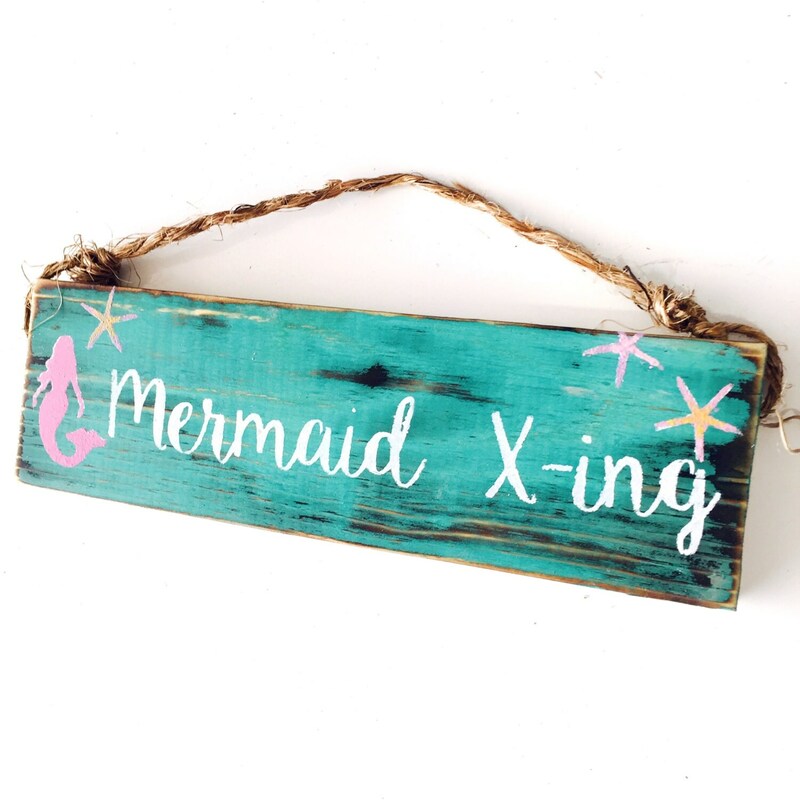 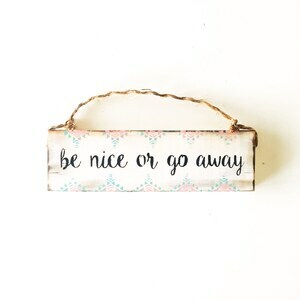 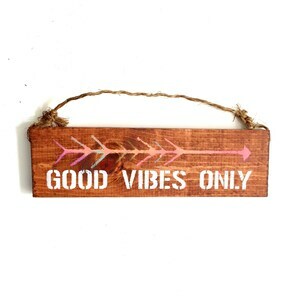 Each sign is handmade and will vary slightly in color and wood grain. 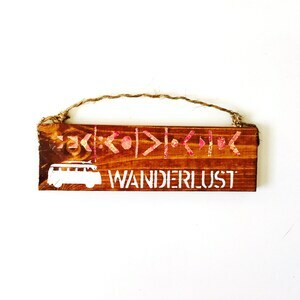 Decorative wall decor with twine hangar. 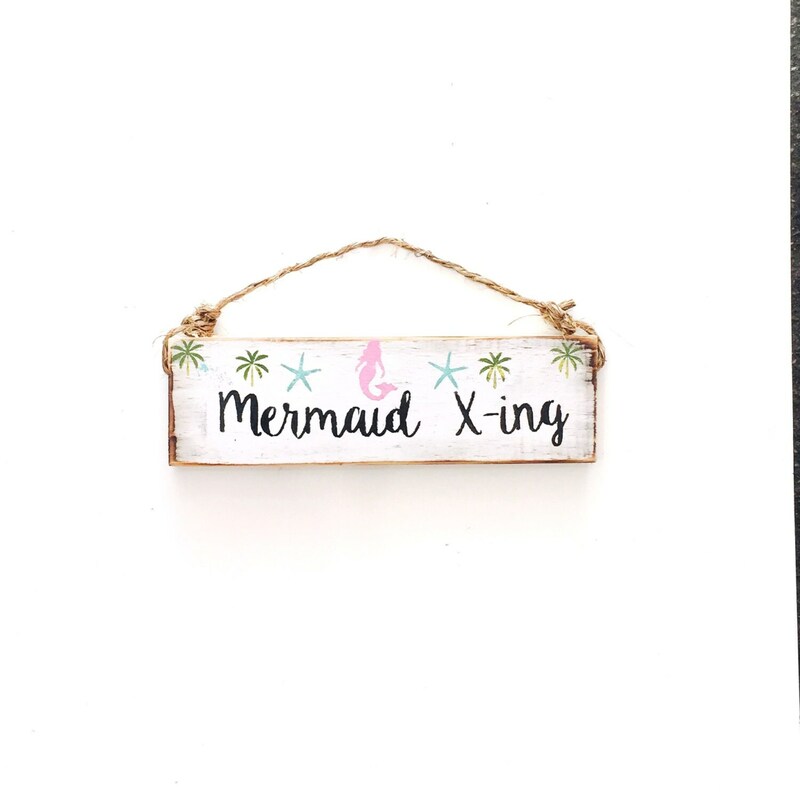 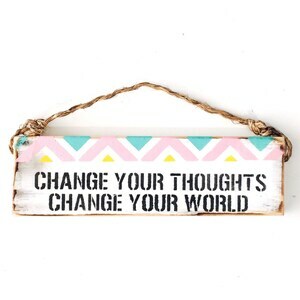 Measures approximately 3" tall x 12" wide.